Everybody loves the juicy, sweet goodness of pineapples. In fact, it’s the second most favorite tropical fruit in the entire world! 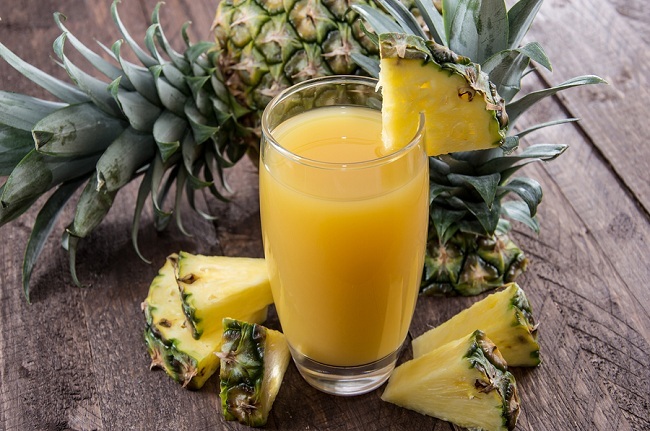 What most people don’t know is that fresh pineapple juice is simply loaded with vitamins, minerals, and enzymes that are so good for our health! Speaking of its health benefits, pineapples are one of the most beneficial fruits on the planet. Check out our list of the simply amazing top 10 health benefits we can all get from sunny, juicy, delicious pineapples. The juice of pineapples contains the super beneficial bromelain enzyme. This is important in the prevention of coughs. In fact, studies have shown that bromelain is 5 times more effective than cough syrup. The bromelain in pineapples can also keep you from getting blood clots since it helps to break down fibrin in the body, which clots the blood. Bromelain will also thin the mucous in the respiratory system, making breathing easier when you have the flu or a cold. Bromelain is a natural anti-inflammatory also, so it’s very helpful with conditions such as eczema, acne, dermatitis, and rosacea. See more benefits of pineapple. This super enzyme is great for digestion problems as well as neutralizing excess acids in the stomach. Bromelain will break down proteins into simpler forms that are much easier for your stomach and intestines to digest. It’s also important for helping the pancreas regulate the secretions it produces. Bromelain can also help with the healing of wounds, including ulcers in the stomach. Pineapple is also high in manganese, which is vital for strong, health bones. It helps bones to grow when you are young, and keeps them strong when you are older. Just one cup of pineapple juice has 73 percent of the manganese that your body needs every day. As you most likely already know, pineapple juice has tons of vitamin C, also, which is great for health gums and beautiful skin. Drinking pineapple juice daily can prevent eye problems, including macular degeneration due to its high vitamin A content and beta-carotene. The juice from pineapples is high in anti-oxidants as well which is important for maintaining eyesight health at every age. Due to its anti-inflammatory properties, pineapple juice can help relieve the pain of arthritis and other types of joint pain. 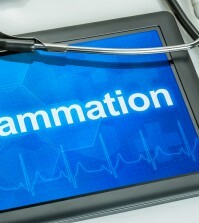 Bromelain will reduce the inflammation and swelling that is associated with arthritis. Packed with vitamins and minerals, pineapple contains, of course, vitamin C, the complete B complex, potassium, phosphorous, calcium, as well as manganese. It’s low in calories but high in fiber. One glass of pineapple juice has 75 percent of your daily vitamin C requirement. Vitamin C is important for a health immune system, as well as the growth of new cells and skin. Vitamin B improves the metabolic activity while B6 helps to regulate the body’s blood sugar. Pineapple juice can help lower the blood pressure in the body due to its high levels of potassium but low levels of sodium. 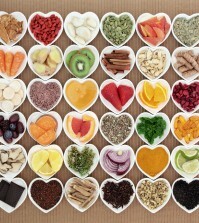 A proper level of both potassium and sodium is one of the best ways to fight high blood pressure. Persons who suffer from high blood pressure would be wise to start drinking pineapple juice daily. The high levels of vitamin C in pineapples are really great for supporting healthy teeth. Eating fresh pineapple strengths the gums, which keep the teeth in place. It also prevents the formation of plaque by restricting the growth of bacteria, which means eating fresh pineapple can greatly reduce the risk of periodontal disease. Read more how pineapple gives you whiter teeth. This almost magical juice from pineapples helps improve the circulation of the blood, which is good for your heart. Bromelain also reduces clotting, which reduces your risk of heart attacks by keeping your arteries clear of heart damaging clots. The antioxidant it contains also lowers your risk of heart disease by fighting those free radicals. It’s said that drinking pineapple juice first thing in the morning will help prevent cravings for sugary or fatty foods later on in the day. Although there is no scientific proof, many people claim that this has helped them to lose or maintain their weight. Drinking pineapple juice is also great at giving you beautiful skin. Many people use pineapple juice as a face mask or astringent as it contains an alpha-hydroxyl acid. 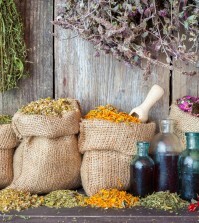 It can also give you beautifully long hair due to its high vitamin A and C content.